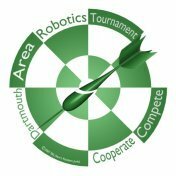 DART, the Dartmouth Area Robotics Tournament, is the first and only First Lego League (FLL) Tournament in the Upper Connecticut River Valley. Open to all FLL teams, it combines the energy of an FLL robotics competition with a commitment to the best tradition of scientific collaboration. Timed to be a final tune-up before the official FLL Tournament Season, it offers the chance to both practice competition and share knowledge. Follow this link for more Information for Teams that want to sign up. The tournament is a cooperative venture and a work in progress. We hope all teams will participate in a spirit of cooperation. We have organized our tournament to give both coaches and kids experience judging as well as competing, so that they will understand FLL competition inside out. We encourage every team to contribute what effort they can to make the tournament run. We know that new teams are bound to be busy just getting up and running, and if you only have one coach she will have her hands full as well. But if you have some experience and some time, please volunteer. As a tournament insider, you will build experience and relationships that would be hard to duplicate. This link leads to the parts of this site where we do our Planning. And this is a link to our list of Volunteer Jobs.